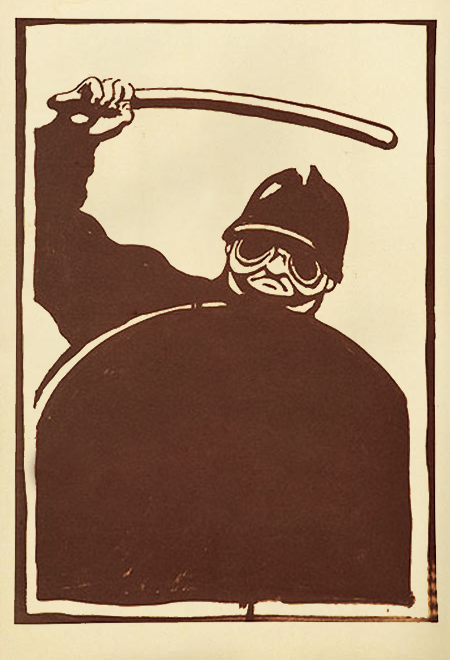 Art school students designed and produced free posters that support striking workers. 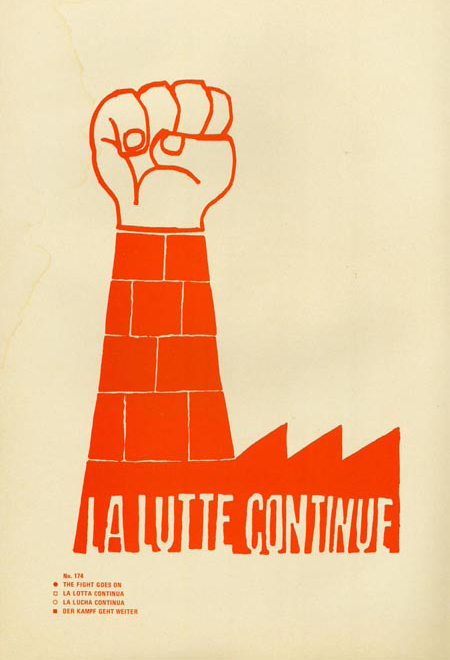 On May 16th, art students, painters from outside the university and striking workers decided to permanently occupy the art school in order to produce posters that would "give concrete support to the great movement of the workers on strike who are occupying their factories in defiance of the Gaullist government". The posters of the ATELIER POPULAIRE were designed and printed anonymously and were distributed for free. The posters produced by the ATELIER POPULAIRE are weapons in the service of the struggle and are an inseparable part of it. Their rightful place is in the centers of conflict. To use them for decorative purposes, to display them in bourgeois places of culture or to consider them as objects of aesthetic interest is to impair both their function and their effect.